This Allersafe Anti Allergy Bedding Set with TENCEL® Encasements offers greater protection against dust mites. A single piece of anti allergy bedding on its own isn't enough to ensure full protection from dust mites and other allergens. By purchasing this anti allergy TENCEL® bedding bundle you can benefit from a higher level of protection while saving on the overall cost. 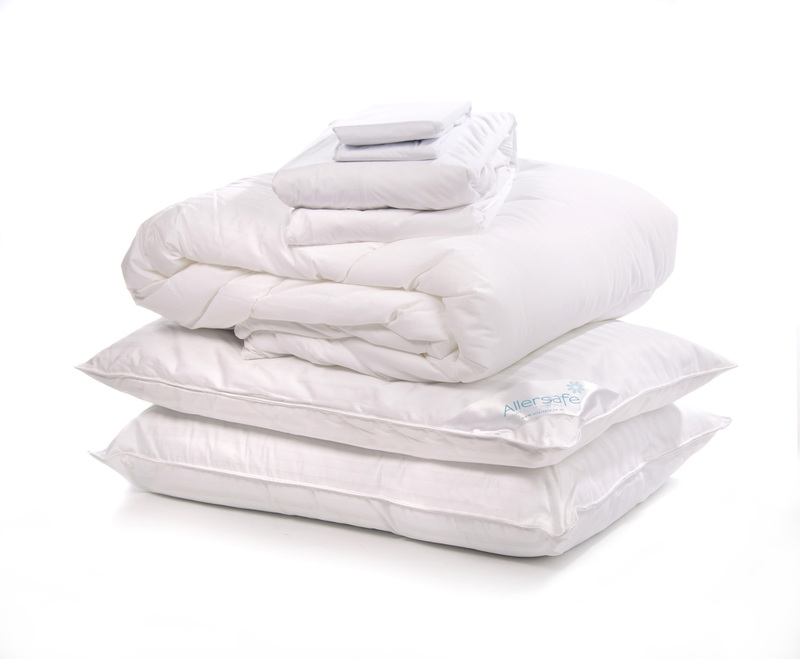 1x Dunlopillo Anti Allergy Duvet for the 10.5 tog and 13.5 tog options, size of your choice. This reputable anti allergy duvet has been blended with an anti-dust mite fibre to prevent the growth of dust mites and other allergens. This premium anti allergy mattress encasement fully encases your mattress providing a complete barrier preventing dust mites and other allergens from escaping. Blended with TENCEL® fibres, this smooth encasement wicks excess moisture away from the body and offers excellent anti-bacterial properties. 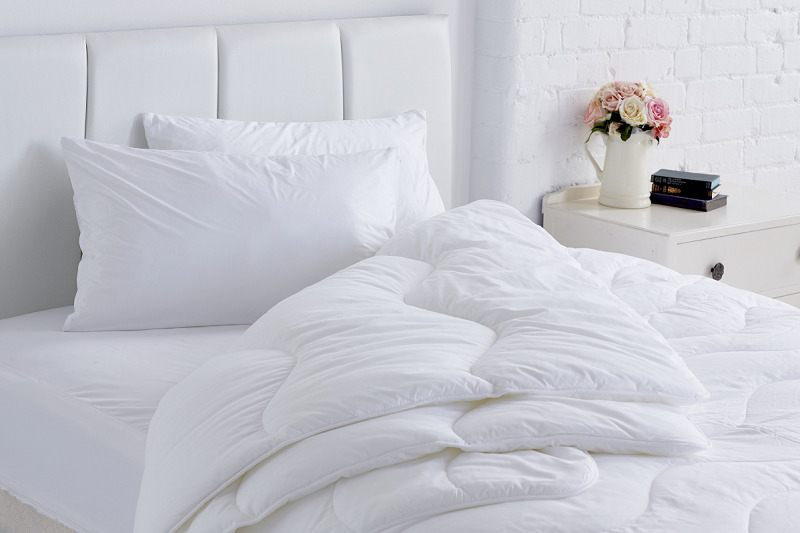 Incorporating a unique fully removeable zippered top, this anti allergy TENCEL® encasement allows for easy covering and removing from your mattress for washing. Breathe-a-Barrier technology creates a breathable barrier against dust mites and other allergens and also creates a water resistant barrier. This zipped anti allergy pillow encasement creates a total barrier, preventing dust mites and other allergens from escaping from your pillow. Blended with TENCEL®, this smooth encasement wicks excess moisture away from the body and offers excellent anti-bacterial properties. Breathe-a-Barrier technology not only ensures protection against these allergens but also provides a water resistant yet breathable barrier. 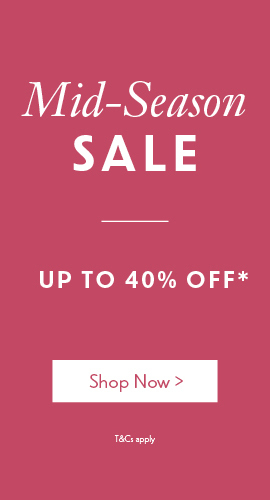 The Allersafe Premium range has been produced to the highest specification to offer you a product that combines allergy relief with a blissful nights sleep. Never again must you compromise on comfort for the sake of your allergy. Machine Washable at 40°C and suitable for tumble drying on a low heat.